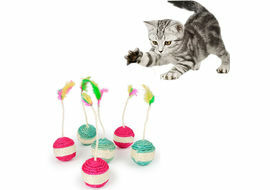 Do you want to save your furniture, walls or carpet from your cat's sharp claws. 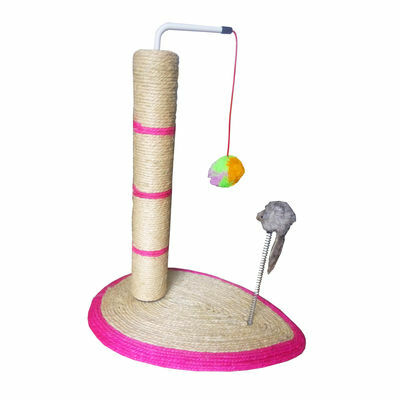 This Canine Sisal Cat Scratching Post could be the answer and, because of its size, it can be placed just about anywhere. Please note: This toy is not indestructible, all play must be supervised. 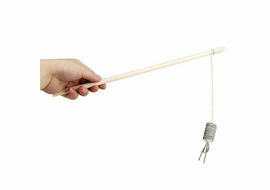 Replace toy once worn. 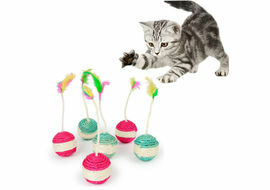 Do you want to save your furniture, walls or carpet from your cat's sharp claws. 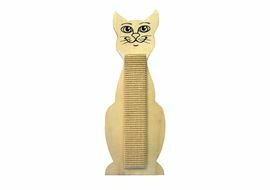 This Canine Sisal Cat Scratching Post could be the answer and, because of its size, it can be placed just about anywhere. 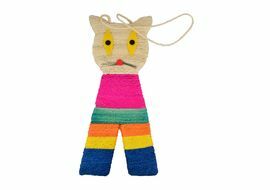 Covered in sisal and with a dangling ball to swat away at, your feline friend will be drawn to it and, hopefully, scratching your furniture will be a thing of the past Whatever way your kitty presently scratches this post should cover all the angles. 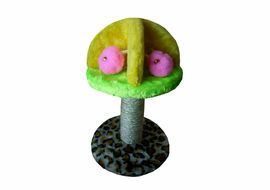 It is ideal for stretching up on and scratching away at, or perhaps your cat or kitten prefers scratching at floor level - in which case the wide base plate is just purrfect Dimension: Bottom - 15 inch x 12 inch Post - 4 inch x 20 inch Please note: This toy is not indestructible, all play must be supervised. 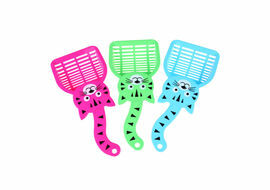 Replace toy once worn.